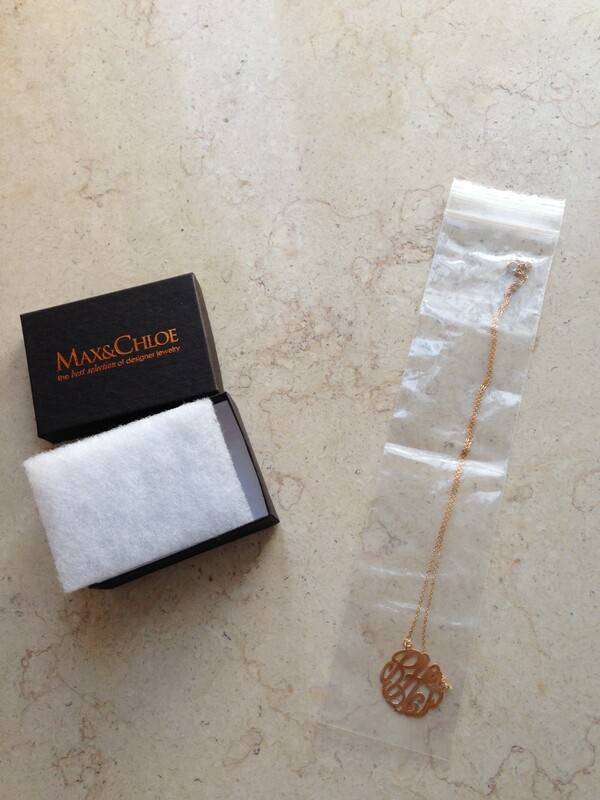 So a while ago, I let on that I was officially obsessed with monograms, especially the Max & Chloe Monogram Necklace. I had seen it on a few bloggers and loved that it was not only a piece with a design that’s unique to you, but also that it’s a very delicate, feminine necklace that can be a signature piece you wear daily. I finally pulled the trigger and ordered mine. I got the Medium size monogram, as it seemed like the perfect size not to be “too” statement-y and therefore too large to wear daily, and it wasn’t so small that it was barely noticeable. I also debated on what length necklace to get. I wanted it to fall at the perfect place, right below my collarbones. Nothing more awkward than a necklace that’s too short or one that’s too long that it no longer looks dainty. I ended up getting the 20″ length, even though 16″ and 18″ were the same, lower price. I had seen various lengths on other people and they all fell at different places, so I worried if I made the right choice. I figured, better to be a little too long than too short. Ultimately, I think it was the right choice. It looks right, but I think I could’ve gone 2 inches shorter to the 18″ and it would have been right below the collarbone instead of this far below it. I also worried a lot about my actual initials and whether they’d look good in a monogram of this style, since two of my three initials (RHT) have zero curves; I couldn’t imagine how they’d handle that and make it look round and pretty like all the other monograms I’ve seen. Luckily, they clearly know their craft and did a great job. 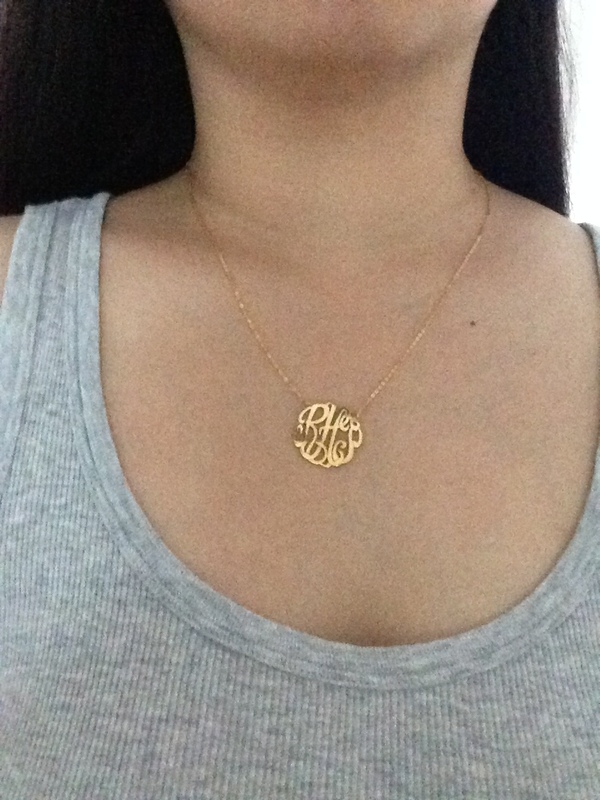 Overall, I couldn’t have asked for a better monogram necklace, and this is definitely my new favorite necklace. 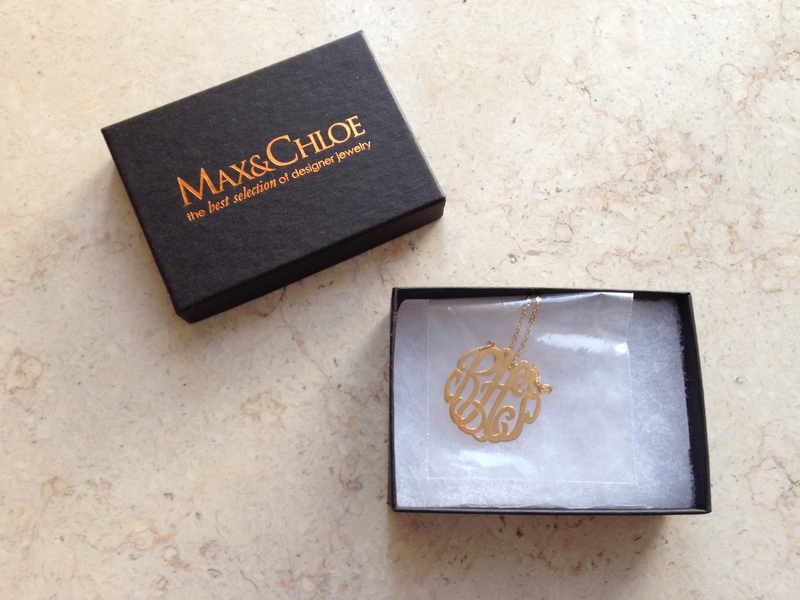 The workmanship and customer service from Max & Chloe were all spot on. Get yours here from Max & Chloe for $105.